Every digital product has it, but most brainstorming, design and functionality sessions skip over it. It is the login screen. Don’t roll your eyes. I’m serious. Your login screen is the first experience a user has of using your app or SAAS, but all too often it acts a barrier to buy from or engage with your product. Don’t believe it could have such an impact? Aren’t log-ins pretty standard now anyway? Rent or buy anything via Apple TV since I had to change my password. I have to get up and confirm my account on my computer – not happening when I have a mouthful of pasta at the end of a long day staring at my monitor. It doesn’t even allow me the option of doing this on my ipad, which is usually nearby. Log into my Audible account. Before it joined Amazon, Audible used a username instead of an email address as a login. Well, it seems I got creative with the username, and I must have stopped using whatever email account it was registered to because the ones I enter aren’t being recognised. Do you think I feel inclined to buy more audiobooks from them with my Amazon log in? NOPE. I’ll stream podcasts, but that’s it until I can recover my old audiobooks. Use Twitter on my desktop. 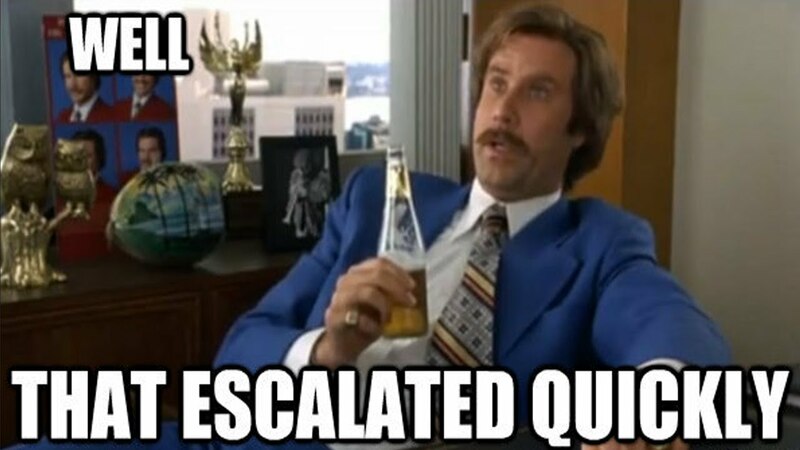 Every time I log in, I get an email saying there was suspicious activity on my account. Like Pavlov’s dog, I’ve now been conditioned to stop logging in from my desktop. Only, I also don’t log in often from my mobile often because of too many notifications. Great way to drive up user engagement, Twitter! I won’t go over Twitter’s and iTunes password paranoia, because Joel Califa does it better in Patronising Passwords, which I encourage you to read. Suffice to say: if your product requires your users to download, subscribe to and maintain a separate desktop and mobile product to access them, your user experience and product design are deeply flawed. 1) Never give the option to log in with a username. 2) Always give the option to sign up and log in with Google/Facebook/Twitter/LinkedIn, depending on your audience. This solves having to remember what email address you used and leaves password issues to those services to handle, not you. NOTE: I’ve used popular apps that allow you to sign up with one of these accounts, but then expect you to log in thereafter with your email and password, while still showing the social media buttons. This is confusing, as I inevitably hit them thinking I’ll sign in with them and wind up on the registration page. Don’t rely on users saving their logins in their browser. Don’t expect people to read the friendly instructions under the login. 3) Mock up the user flow of lost passwords, security challenges, suspicious activity notices, etc. Ask yourself, if this happened to you on your commute home, how long would it take you to be back inside the product and completing key tasks? How often might it happen? When can it break? 4) Test signups, logins and password resets when you’re busy, distracted or only have a few minutes to get in and out. That’s when you’ll have a harder time remembering passwords or inventing secure passwords, and it’s a more accurate to many “real life” use cases. 5) Ask yourself: what happens if your app is bought by Big Inc and google/FB/Twitter logins are no longer ok? Repeat step 3. 6) If you are bought by Big Inc, give your users the option to merge their old account login with their new Big Inc login. Save everyone the hassle of trying to remember what email address they were using 8 years ago. Audible has yet to implement this, which is interesting. People want to buy from you and engage with you. Don’t make it hard. 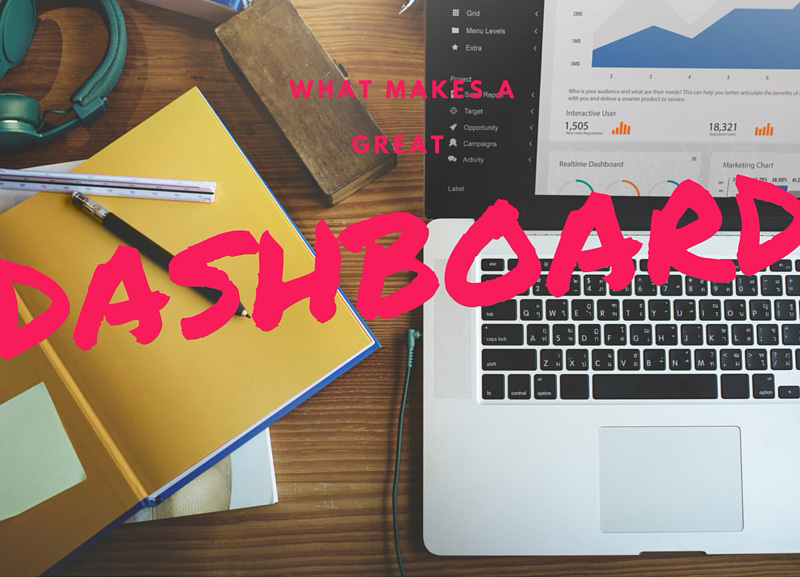 I was writing an article about what the best dashboards have in common, and then something nearly happened. I nearly bought a new planner. It often surprises people that I use paper at all, since I’m so integrated into the web ecosystem of tools that I use and since I design online tools, but I see my planner as a “wireframe” for my days. And given that the system I use is completely flexible, customizable and 100% reusable, my near impulse revealed a “quirky truth” about users that applies to digital products as well. Actually, two quirky truths. So I’m going to talk about what makes a great dashboard and I’m not going to mention NoSQL or “material design” or UX anywhere. Instead, I’m going to focus on how to make a product that prevents users jumping ship to a newer, shinier product in the future. Narrowing down your audience. You can’t make an intuitive product for all types of users with all types of needs, but by embracing a narrower type of user, you can make something that caters to their needs perfectly. You may have some doubts about this now, but you’ll come around. Get to know your audience inside out. How old are they? Is there a geographical location they are mostly in? What kind of education or backgrounds do they have? How do their mornings begin? When they open their emails the most? When they are most likely to start a project that would need your software? or if they already are using a similar tool, what motivates them to change tools? Outside of their objectives for your product, what kind of apps, programs and hardware do they use? Do they drive? Cycle? What do they do for recreation? What motivates them? What discourages them? Everything from the app functionality they need all the way down to the language you use in the app and it’s integrations, marketing and email timing will depend on this information. This is where putting together some user personas can help. Get my free persona template in google doc format. A person who’s just beginning to get fit will track their journey towards fitness differently to a runner who’s training for a half-marathon. We can imagine a former couch potato will do more workouts indoors and may not have many exercises they want to share publicly yet, since they’re not “braggable”. They may care more about logging how they feel (breathless, good, energised) after a workout, and progress could be tracked by measuring interval times if they are jogging, or maybe something like working out three times a week and staying within their aerobic heart rate range, or increases in weights and reps. Seasoned runners will want to show off their routes, and distance, speed and cadence of their run and maybe photos of their location, and they way they feel after a run will probably be on a different scale. There are a dozen journaling, mood logging and gratitude apps out there. Pacifica focuses on managing anxiety by analysing your text entries for “thinking traps”. There are a dozen recipe sharing ecosystems out there. Yummly indexes the entire blogosphere for recipes and displays trending recipes as tiled images for visual inspiration. There are a dozen learn-to-run and running apps out there. Zombies, Run makes the process as entertaining and varied as following a tv series. What does success look like to this person? Not in a metric sense; in real life. Yes, this is subjective and opinionated. Not everyone will agree. Some people won’t use your product of it, but like I said in point 1, you can’t make a simple, intuitive app, SAAS or other digital product that appeals to everyone and also retains complete flexibility for all types of users. On the other hand, there are so many people who use products they complain about for not matching their situation, aims or skill level – until they find the one that does. You’d be better off targeting and keeping that loyal slice of users over the long-haul, than casting a wide net every so many months. What would let this person know are successful or getting closer to success? Do they need instructing or encouraging? Or just information? The good thing about picking a demographic is that it’s not too big a niche to make assumptions or set targets for. Are there any red flags that can help someone turn things around if something isn’t moving in the right way? Is this helpful, or more likely to be annoying to this person? Getting an alert that your e-commerce is way down is tolerable to a small business owner if they only get notifications a when a serious dip occurs (maybe over Christmas, perhaps), but if they’re not getting a lot of consistent traffic in the first place, they could be getting alerts all the time. 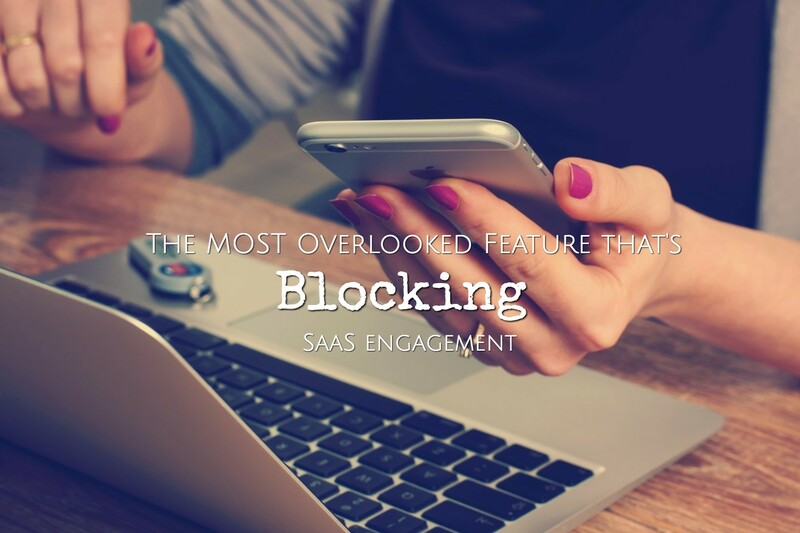 Kill their distractions What is distracting your users from their aims in using this app? Not within your product. In general. There are lots of features I like about Balsamiq mockups, but the two that made me buy way before my trial ended are the “play background music” and “what’s for dinner?” features. Yes, those are real items in their menu bar, because the need for get-in-the-zone calm and the need to not break my attention span to hunt for dinner inspiration allow me to get work done faster. The music is even set to 25 minute cycles so I can use it as part of my pomodoro cycle. Instant. Brand. Loyalty. A different example is Fitbit’s “Active hours” feature, where users have the option to enable being encouraged to take a given number of steps each hour within normal working hours, for all those desk-bound individuals who get to the end of week feeling like this daily 10k step target thing isn’t workable. Another is Freeagent’s weekly ‘Monday Motivator’ email, whose primary purpose is to subtly remind their users to log-in and update their books/send their invoices each week so they’ll get their money’s worth out of the product, and keep subscribing. The “newness” promised to make actually using it less boring- for a while. The manufacturer wasn’t afraid to show an opinion: its’ pre-filled inserts closely matched the custom ones I already use. At best, this only saves me 10 minutes a month of opening my insert file and printing, plus color ink, but the boldness of their identity appealed to an irrational part of me that felt chosen at the expense of a more general audience. The second quirky truth is that using a product is a relationship, and it can be infatuating to find a product that “just gets you” and has eyes for only your demographic. You need to appeal to an irrational, deep-set part of people’s psyche to get the kind of brand loyalty you see in iOS fans, for example. What creates a great product that inspires customer loyalty is more than a products features, technology, look and feel, marketing and even service desk. It’s deeply understanding your chosen users, their head space and making it fast and easy (and yes, attractive) to get what they want while obliterating their obstacles to getting there. To make truly amazing dashboard, we need to see ourselves as a life coach and motivator with a magic mirror to our users, not just present them with prettier graphs and higher tech tools. I want to tell you about the day I ditched the free email my hosting service provided and paid for google apps. It was around about early March, and I got an email from my UK accountant asking about my annual report. I don’t remember what the question was, but the point was, it had totally slipped my mind that it was due. Worse than that was that I had actually signed up for email reminders from Companies House to file them in time, but had never seen a single email from them. Digging through my desktop email client, then mobile phone client, then a different desktop client, then my gmail client (where I had synced some emails to a folder), I finally found them- buried within mountains of updates and newsletters I had moved to the archive folder. I had nearly missed my deadline but for two days notice, all because I felt that 4 euros a month was an unnecessary expense when I had free email. Compared to what I spend Adobe alone, this was illogical stinginess. I had nearly let the crumbs devour me. Buying a flat, but not installing a fire alarm or buying insurance. Training for a 20k run and eating well, but putting off getting that persistent cough or mole checked for “some other time”. Opening a marine fish store, but failing to buy a backup generator in case of electrical failures. The crumbs are things we think are not important yet or not worth spending on after spending on bigger things, and which we forget about until the day everything we built hinges on them. Skipping on user testing at the low fidelity wireframe stage. It’s much cheaper to fix things at this stage than later on. Developing a powerful product but failing to include help files and customer onboarding flows. Guess what happens if customers thinks a product is too hard? They stop using it, and stop paying for it. Using dummy data or not providing data in the mockup stage. The entire usability and flow of a product changes when I use real data, like using my sometimes hyphenated surname in sign up forms. Don’t make designers guess what your data will be. If they’re good, they’ll probably need to correct those assumptions later on and that will be billed to you, but if they’re bad, your product will suffer. Not being crystal clear on what steps a user needs to take to activate an account. In the website for car2go in Madrid, my partner and I waited for two weeks for his driver’s license to be validated (I am used driving on the wrong side of the road, so didn’t apply). Only after wondering why it was taking so long did we read their FAQs and realise that it wasn’t the automated process that their site promised (“simply sign up here”), but required an in-store visit after signing up online. You question the point of the website if you could save time by registering and validating in store. Sending out password reminder emails or other important emails from generic department@yourbusiness.com accounts which get trapped by spam filters. Especially if you haven’t worked to build up your sender reputation for that domain. Cheaping out on images in your content after design handover. Nothing ruins the look of a website or product more than overly “stock” photos. Consider that Netflix’s artwork drives their customer choices in which shows they watch and how much Netflix A/B test those artworks alone for increased user activity, and you’ll see that taking the time to source quality images and customise them professionally pays for itself. 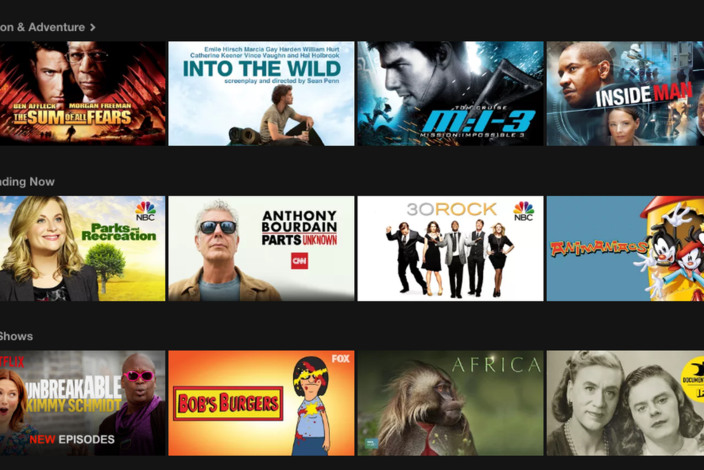 Netflix’s images drive user choices and engagement. Time pressed as we are, it’s always worth it to not use basic stock images. We can get so focused on our big picture goals or the things we are chasing in life that we lose sight of the crumbs that could devour us. So, my question to you is: what is it that you told yourself you ‘should really be doing differently’ but haven’t gotten around to yet? What is not urgent enough, or too difficult, or takes too long to make a start with today? Those are your crumbs, and they are waiting for you. Drop me an email below and let me know what they are or were. I love hearing and learning from other people, and maybe I can help you find that first step. Are you selling your company short on the quality of employees or contractors it could attract? I am a one woman business. While client work is what pays the bills, I also have to divvy up my time into bookkeeping, sales, content creation, marketing, as well as internal research and development. Oh, and keeping the domicile reasonably habitable and the carbon-based lifeforms within it fed, watered and given various levels of attention. Same as most solopreneurs, really. Maybe the same as you. Now, you may imagine that as long as someone is willing to pay me that I’m entirely agnostic about who I work with, but in reality, there are some red flags that come up in pre-sales communication that tell me the work culture may be a bad fit for someone with more a few years experience, so I’d like to talk about what these are, and why I think they sell the companies short, not because they’re not working with me, but because they’re limiting themselves to a specific type of mindset of worker and evaluating them with, in my opinion, a bad protocol for business. Before I get into it, I have to say that I completely empathise with this mindset and protocol, because when I worked in-house before starting Wyld, that’s exactly how I thought. When your day involves doing one task, it behoves you to do that well. In order to know that you’re doing well, you will naturally look at what other people are doing and compare notes. You’ll compare trendiness, problem-solving, creativity, and technical skill required. If you compare yourself long enough, you’ll form Opinions on what is Good and Bad work. Over time, a natural consequence of measuring yourself and findings others short or at best equal, is that you’ll get kinda “pure” about it. ‘Snobby’ is how people outside the team may describe it. When I worked in-house as a web designer, I cared a lot about how technically skilled people were. Frameworks were for the weak. Stock art meant you didn’t care. Your markup structure, skillset and page load speed defined your worth in my eyes. But here’s the thing: the things we use to make ourselves feel skilled in comparisons to others within our field, may not matter to the business bottom line one tiny iota. Worse than that? Taking too narrow (or “pure”) a stance can actually stop you from making decisions that do positively impact the business bottom line and make your stakeholders happy. UX is not the same as designing a css library and theming an app, website or product. The final UX layout and look evolves from the functions the user needs to perform in your app. It’s based on your user expectations and from their experience levels. It is designed to meet your unique business goals in order of priority, designed to your specific sales model to your target demographic, it has to accommodate the content you already have or can acquire (not the ones in the rival app, theme or screenshot), with options appropriate to the content format of choice (video, sound, photos). It’s designed to deliver on the metrics you decide are important to measure the success of this app. UX for an app that’s designed to influence user behavior will differ from one designed to entertain, to one designed simply inform, to one that enables users to complete a task with only a thumb swipe while getting off the train and chatting to a friend. When the above factors are taken into account, the designs clients want to replicate are rarely appropriate. By attempting to self-diagnose, you’re inadvertently capping your business’s potential and that of your new or for-hire talent. People who liked to be told what to deliver are inexperienced and still working on their techniques. They haven’t learned to see where their skills fit into the big picture and shift their thinking to use those skills to meet business needs. Meanwhile, since the prescriber doesn’t have the full skillset of his potential employee to self-prescribe, the diagnosis is faulty or at best, incomplete. Instead of giving the answer to the person you paying or looking for to fix something for you, try telling them what you need to achieve, what resources you have available, what limitations you have, and what your priorities are, then ask them how they would begin. You’ll get a much better final product, and attract much better talent, I promise you. After Amazon’s physical book stores, Barnes and Nobel plans a physical Nook store to be launched this year. One of the challenges of that (prototype) store is going to be the digital experience,” CEO Boire told conference-goers. “I don’t think until you’re fully connected—mobile, desktop, and store—that you’re going to be providing the full experience. That’s our goal. I love their angle on connecting their physical stores to their e-readers. Waterstones had these boxed ebooks on shelves that you had to take to the counter, pay for, and then download via in store wifi. It’s true they loaded via wifi onto any e-reader, but queuing for a digital product was counter intuitive. It’s true that I’m not seeing any Nook devices with NFC available on Barnes and Nobel store yet (although of course, many mobile devices have NFC already and their app is promoted prominently on their site) but it gives an idea of Barnes and Noble’s long game. Connecting online sales to offline marketing (and vice versa) has always created a data gap filled with GQ codes and google tagged short links on flyers and billboards – but anything that takes effort on the part of the consumer, such as downloading a QR code reader or entering a non-readable, randomly generated short link, or even standing in line with a ridiculous empty box in your hands that needs to be scanned before you can download you ebook- is a barrier to sales. Meanwhile, publishers don’t need to embed NFC chips into their books on printing: Barnes and Nobel can stick them on in the same way that every product has a chip to stop you sneaking them outside the stores. With a physical store boosting sales of their branded devices, promoting their bookstore app, and control over their own device hardware, it’s a nice way of making the transaction of digital product in a physical store seamless and pleasurable, gaining a bigger share of the digital sales, as well as connecting which stores -if there should be more than one in the future- influence more digital sales. I can even see the potential for a Audible-like or kindle Unlimited style subscription model, where you get X number of books for free per month or unlimited per month. Maybe even retargeting customers who “bump” a book or otherwise load it but don’t complete the sales transaction. Even without NFC, I definitely hope that customers won’t be expected to scan books with a separate store app nor be required to enter the title manually in their Nook app or device for searching. Both are equivalent of queueing for digital in this day and age: a barrier. The barcode scanner in GoodReads can pull up book information from their database, so at the very least – although it’s less elegant than Lynche’s idea, I would hope that Barnes and Nobel make a scanner part of their app and make it easy to launch without needing to search for it in their menu sidebar. The risk is that a percentage of consumers will load the book details, walk out of the store and then purchase it later after thinking about it, so the data gap won’t be closed if they have more than one store in the future. Either way, the store will make their store ecosystem more visible in a bustling market of competing bookstore apps. The company’s online sales took a hit of 15.9% in 2015 with their relaunch of their BN.com website. To me, bringing in the right talent that truly understands the difference between digital and physical and how they’re all coming together is critical.